The real countdown to Christmas starts with the Watch Shop Black Friday sale, and we've secured some of the world's most iconic brands to make our 2018 sale the best one yet. 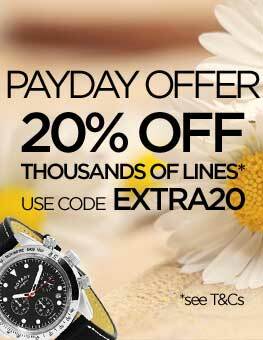 Enjoy generous discounts on some of the best-looking watch and jewellery items from this year's bestseller list and treat a loved one (or yourself) to a gift they won't forget. 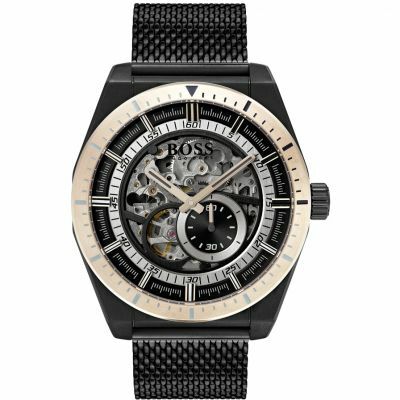 Our Black Friday deals include American watch giants Bulova, the legendary Hugo Boss, and iconic Swiss brand Tissot. 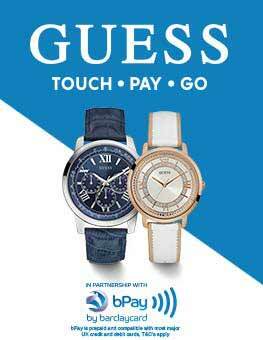 For something cooler and more casual, Casio can deliver with retro pieces and tough G-Shock and Baby-G timepiece collections. 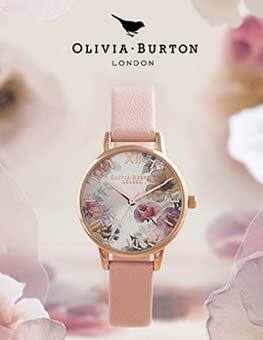 As quality watchmakers since 1875, Bulova knows a thing or two about creating stunning timepiece collections. 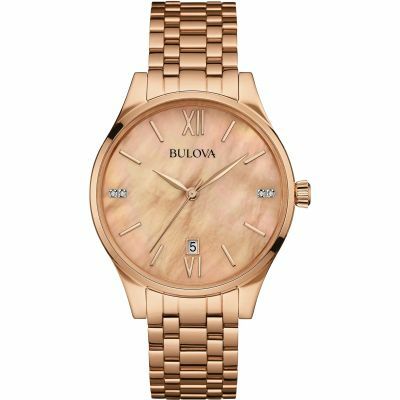 Watch Shop is proud to stock a mixture of Bulova's bestselling and newest pieces in our Black Friday sale, including the shimmering rose gold Diamond Gallery ladies' watch. Featuring a subtle splash of diamonds, it's elegant, cool, and perfect when paired with a killer party dress. Boasting one of the world's most instantly recognisable logos, Hugo Boss has been at the forefront of fashion for almost 100 years. 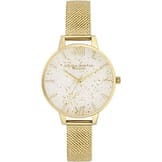 Its timepiece collections are versatile, spanning smart sporty designs to rock the boardroom, classic dress watches for formal occasions, and edgy modern numbers that perfectly complement the latest urban streetwear. 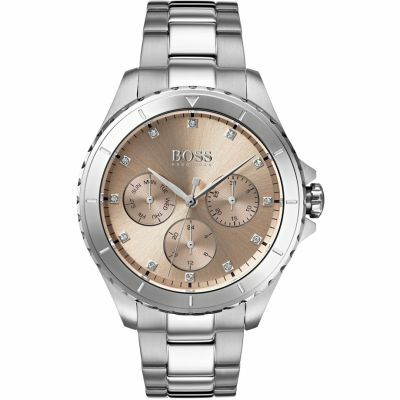 The men's Hugo Boss Signature watch is new to Watch Shop and offers a perfect example of how this world class brand is always a step ahead when it comes to cutting-edge design. Since making its debut during the 1970s, when the brand was at the forefront of the digital watch revolution, Casio has carved a distinctive personality and style that's instantly recognisable. 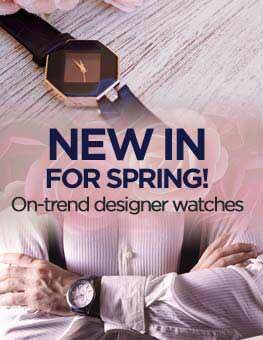 Casio thrived throughout the 1980s and became synonymous with youth culture, helped along when Michael J. Fox sported the Casio CA53W Twincept Databank in the movie classic Back To The Future (1985). 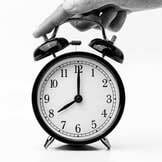 Today, its retro designs are just as popular and relevant as ever, while the G-Shock and Baby-G collections continue to set the standard when it comes to robust, feature-packed sports watches. 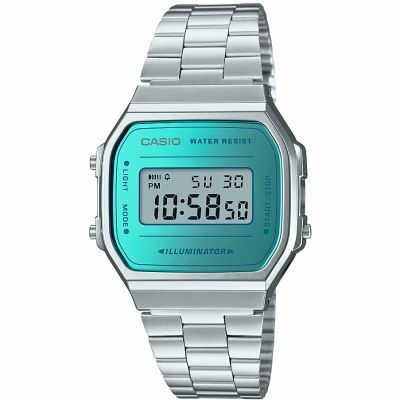 The Casio retro watch in aqua blue is a fresh take on a the brand's signature vintage design, making it the perfect accessory for casual style. 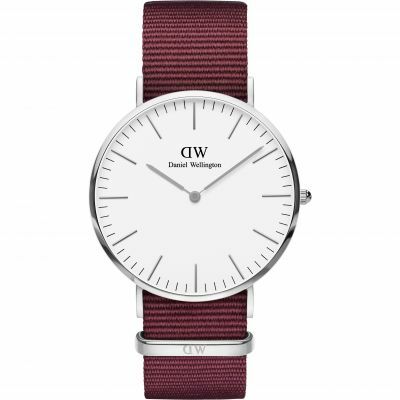 Simple, elegant, and quintessentially British, Daniel Wellington has a reputation for injecting subtle modern twists into classic, vintage designs. Defined by stark, fuss-free dials and sleek leather and fabric bracelets, this understated brand is ideal for those that prefer a minimalist approach to fashion. The Watch Shop Black Friday sale includes a number of stunning Daniel Wellington timepiece for both ladies and gents, including this beautiful 40 Roselyn Watch for her. A turbulent flight rocked by a bad storm provided the inspiration STORM founders Steve Sun and Anna Lee needed to name their wristwear company back in 1989, and a cult brand was born. Famous for futuristic timepieces and non-conformist attitude to fashion, STORM rode the wave of success throughout the 90s and continues to evolve and push boundaries to this day. 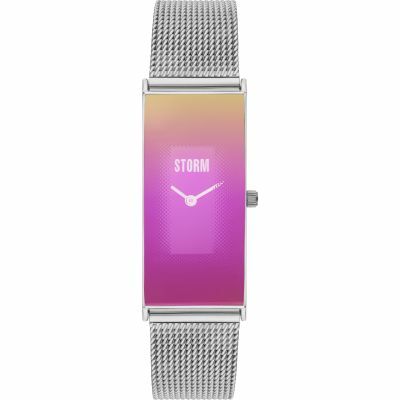 This ladies' STORM watch is a fine example of one of the brand's more paired back designs, and really shines with its metallic bracelet and enchanting purple dial. Tissot is one of a handful of brands that has been pioneering the art of watchmaking since the very beginning, and its innovative approach has led to endless partnerships with the world's biggest sports organisations. Named the Official Timekeeper and Partner for the Tour de France, NBA, FIBA, MotoGP, and RBS 6 Nations Championship (to name just a few), you know you're in good company when you invest in a Tissot watch. 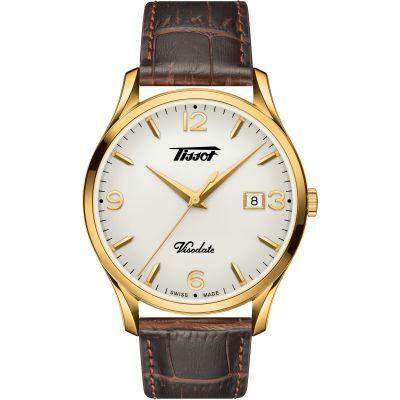 The men's Heritage watch celebrates an iconic Tissot timepiece from the 1950s with a contemporary reinvention - a smart dress watch that's guaranteed to draw compliments. Discover the world's biggest watchmaking players in the Watch Shop Black Friday 2018 sale. 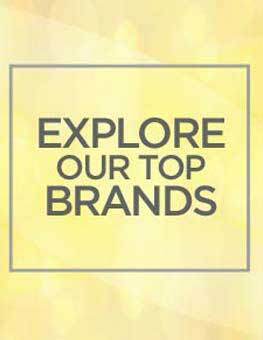 These brands are just six of several hundred others we have in stock, so get ready to shop our entire range of Black Friday deals and beat the rush before Christmas.